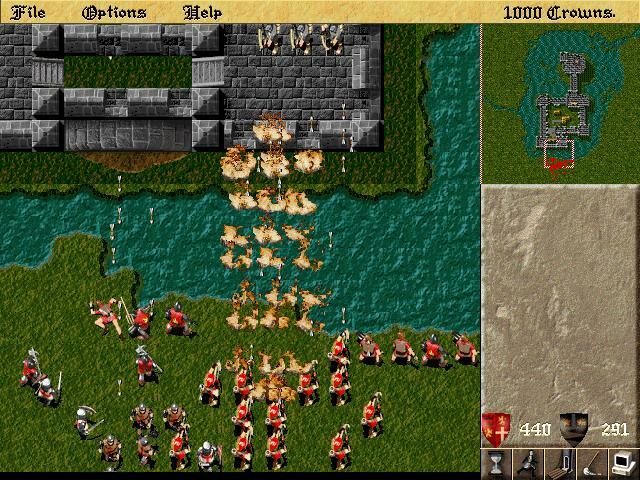 Do outdated graphics turn you off playing old games that you know you'd like? Thread: Do outdated graphics turn you off playing old games that you know you'd like? I always take graphics into consideration when I play a game. I generally don't mind "worse" graphics as long as there's an art style (which I can appreciate), but in the long run for me I'd say it's 20% graphics, 65% gameplay, 15% other. I'm enjoying EverQuest as it was in its peak expansions with an awesome server community and guild. I love its looks. I love its death penalties. I love not having an ingame map. I love how it takes forever to get places without a port. I'm always turned on, so no. I have tried going back and playing older games that I haven't played in a while and hated them due to how dated they feel. Not graphics wise either, most FPS games feel really sluggish when you compare them to BF3 for example. I'd rather not play older games and shatter my nostalgia with reality, new games smash most older games out of the water now in almost every way. this is an important consideration when looking at older games. i actually recently went back and tried to play the original Super smash bros for N64 (a game that i was completely addicted to at the time of its release) and i swear i thought i was playing in slow motion. i actually had to look through the options to be sure that i wasnt. the difference between that and the sequels for gamecube and wii is unreal. as far as graphics alone are concerned, for me there are probably a lot of different factors if i really think about it. the type of game is important, i could easily go back and play an old action/adventure game, but an RPG id probably have a more difficult time getting into. also "outdated" is too broad of a term. sprites technically out date 3d games but a reasonably clear sprite based game >>>>> a blocky 3d game for me pretty much always. Depends. If atmosphere is important, than graphics are important. I cant make myself play any of the early Silent Hill or Resident Evil games. Chances are if the graphics are outdated, then the controls are clunky too. They were great back then, but so was dial up, no way are they great now. SNES games have a ridiculous amount of charm. Also, no. Unforuntely for me, I can't play old games. Just something about the low graphics makes me want to zoom through the game and be done with it. I purchased FEAR 1,2,3 and a couple other classics during steam sales and I've not gotten around to finishing them because I find myself falling asleep. I try to indulge in the story as much as I can. I don't really care about Graphics. Performance is the most important. I still play NES and SNES games, old FF games, plenty of old games on the computer because they're fun. A game that is really fun and enjoyable will make you forget about the graphics. No. I don't care about graphics, i care about gameplay/story. It don't happen till it happens when it happens you gonna wish it never did! Not really. Half-life 1 looks like crap and even though I have no idea what that Xen planet stuff is about I still enjoy the game. Generally, no. I actually still prefer 2D sprites over modern 3D graphics. Yoshi's Island just looks way better than Skyrim. I like 2d retro graphics. I cant stand those few years after the transition to 3d. Mostly the playstation 1 era, although ps1 had some decent looking games for its time. One of my favorite games of all time is Final Fantasy IX, and while it looks atrocious, I can stand to play it while i cant play other similar looking games. So no, I really don't care about graphics. I love new and shiny stuff as much as the next guy, but I won't refuse to play a game just because it's old. Lords of the Realm 2. I still play it quite regularly, great game although I do tend to get bored after a game or two it could so with a bit more variation but the mechanics and graphics are great for the time. No not at all, graphics are never a factor when it comes to me playing a game. If it's fun, I don't care if it's just some squares and circles, I'll play it. I am even replaying Donkey Kong 64 right now. I hate it when people don't play a game because the graphics aren't good enough. You know how many life changing games to me that rules out? I cheated, and looked at the file name.